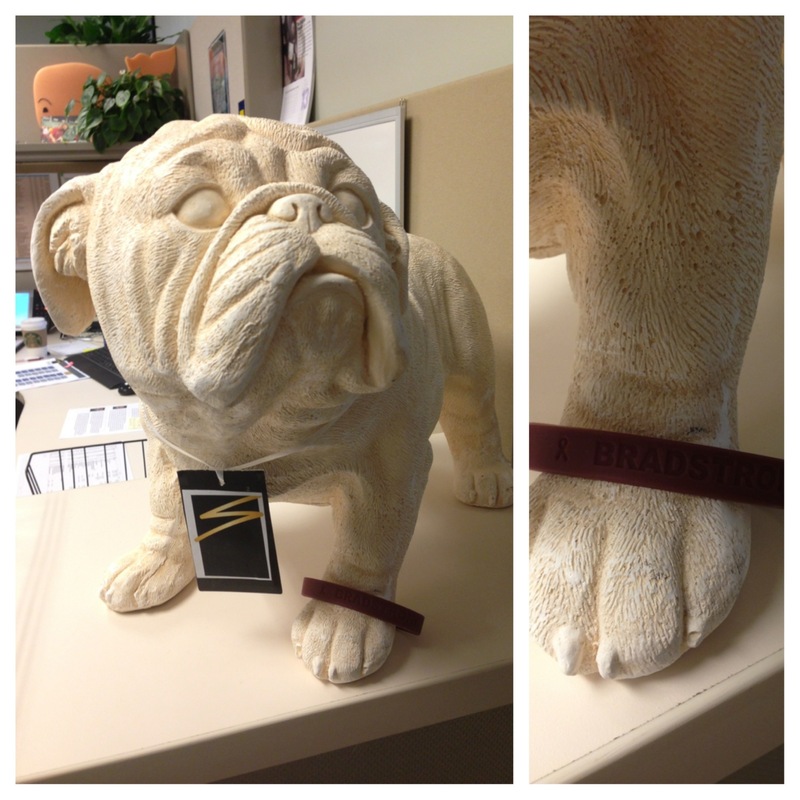 Apparently, back at our corporate headquarters in Orange County a new dog has entered the #bradstrong fight. Thanks everyone in da OC for keeping it moving forward. You’ve got to be a bulldog to fight cancer! Feeling great – feeling #bradstrong.